CABLE VERSION OF FMODS PROVIDES A CHOICE OF 2 CROSSOVER FREQUENCIES DEPENDING ON THE DIRECTION OF INSTALLATION. THE COLOR DOT USES THE SAME CODE AS FMODS. THE COLOR OF THE DOT CLOSEST TO THE AMPLIFIER DETERMINES THE CROSSOVER FREQUENCY. 37 HZ 18 DB PER OCTAVE HIGH PASS FILTER PROTECTS YOUR SPEAKERS FROM VERY LOW RUMBLE THAT CAN DAMAGE YOUR WOOFER. BY REMOVING RUMBLE YOU CAN GET HIGHER LEVELS OF OUTPUT POWER. 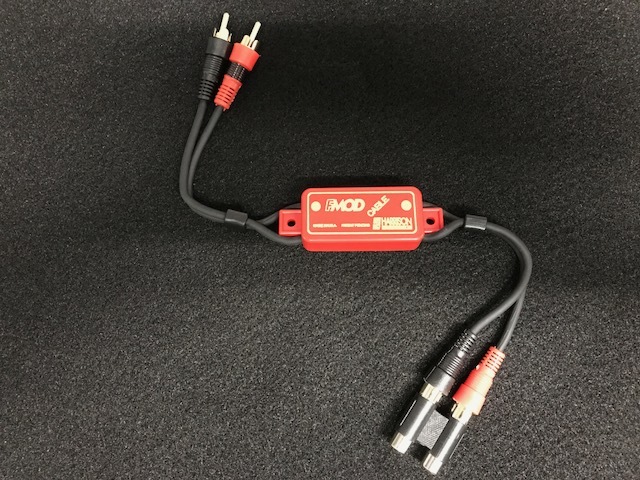 This is configured in the FMODCABLE™ black package with a dot on the output cable.